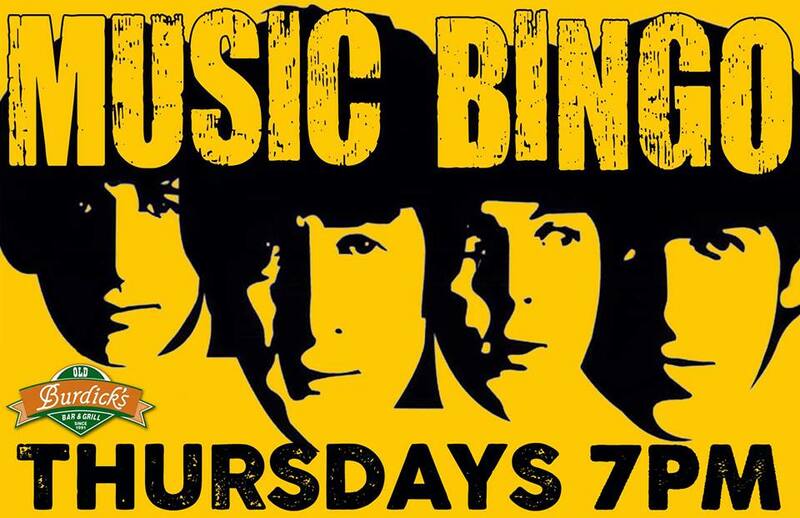 Join us at Old Burdick's Downtown every Tuesday with our friends from Top-Shelf Productions for a night of Music Bingo! Grab a burger and a beer, listen to your favorite throwbacks, mark your card and WIN PRIZES! Bingo is FREE to play (food and beverages not included)!